Main website is being updated over the next few days, should be finished by the 20th. So far, it even works correctly in both Firefox and IE! After the 20th, I’ll get to work on getting some t-shirts available. After that, the priorities are finishing up fixing up the games (soon I will have the space back in my garage to go back to work on pinball machines, so I can finish up the Addams Family, then do some VERY overdue maintenance on Lord of the Rings. When that’s done I can finally get on a regular cleaning and maintenance schedule), and working out the details on having more regular tournaments. Have had all 5 of my wisdom teeth removed last week. Yes, 5. Assuming no more complications, I should be getting back to work in a day or two. 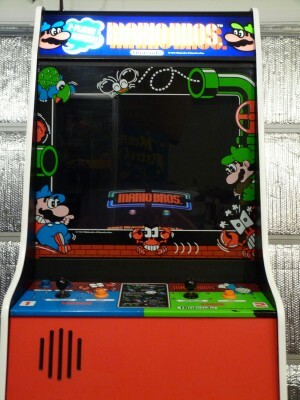 New arcade repair resource online (found the link a few days ago at www.arcadeheroes.com), located at http://www.varcadeentertainment.com/arcaderepairtips/. Looks good so far. For once, it isn’t procrastination. I am currently dealing with the fun of a abscessed wisdom tooth, so not getting much done. Even I am not stupid enough to do electronics work while on prescription painkillers! Not going to go into the gory details, but it’ll be two or three weeks before I get back to work. 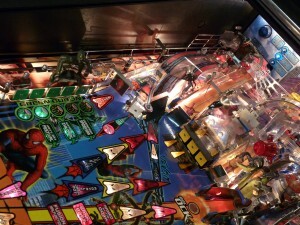 Articles may or may not appear here in the meantime, depending on how focused I am. 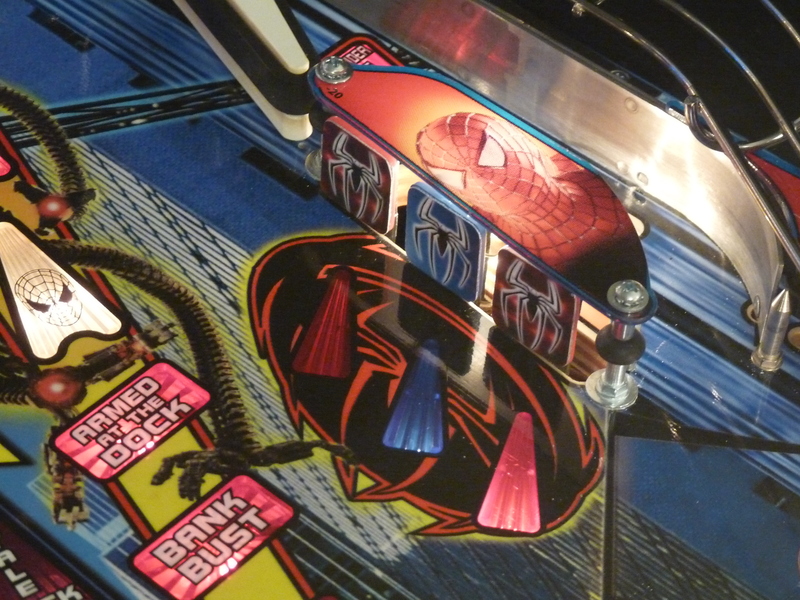 I was going to post about the Northwest Pinball and Gameroom show last week-end, in case anyone here is interested and didn’t know about it. The show looks like a lot of fun! 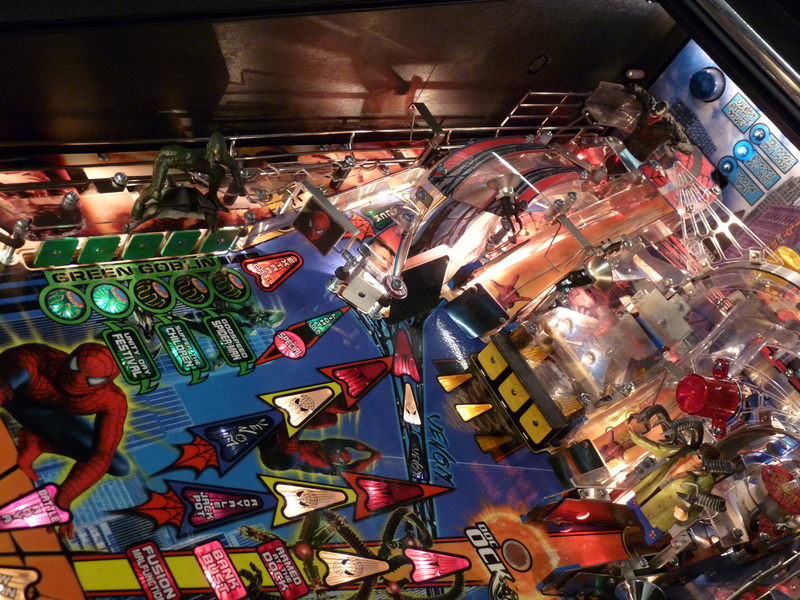 Note to anyone taking pictures of a pinball machine playfield: leave the glass off the game when you take the picture, otherwise the backbox reflection will obscure the playfield, as above. Barring the unforeseen, I’ll be rewiring Donkey Kong 3 tomorrow, then tackling the monitor, and will post an update here after that. 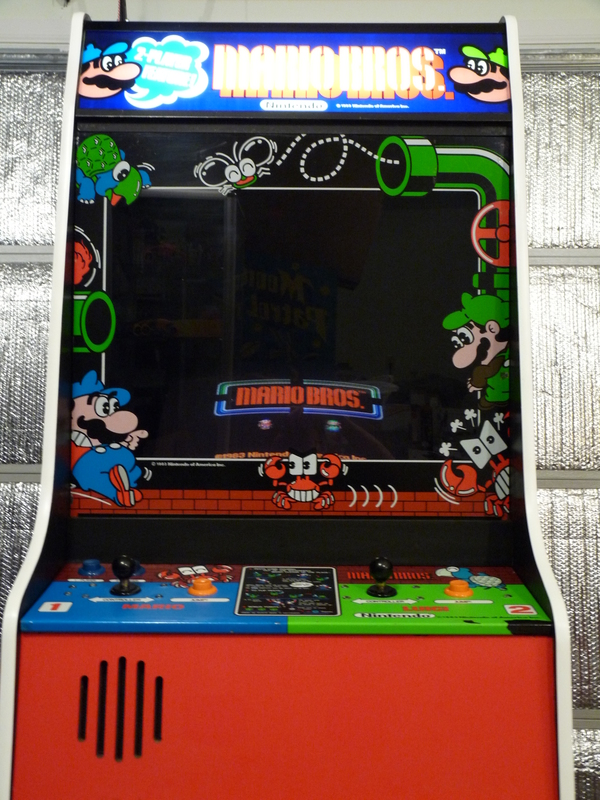 Mario Brothers has been (re)added to the arcade! It’ll be put back in line with the other Nintendo games in a little bit (probably when we fix Road Blasters), but for now it can be found next to Tron in the centre island. 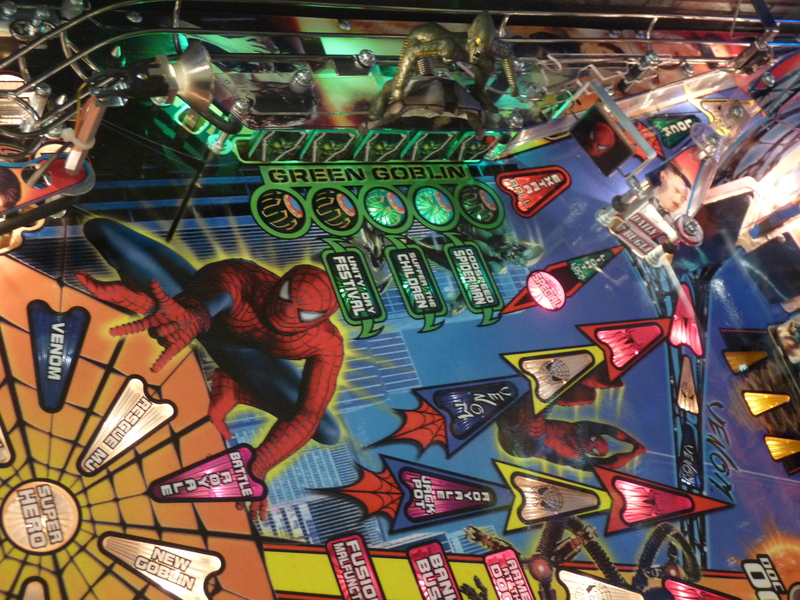 If you have been in the arcade in the last few days, you can’t have missed the new addition. 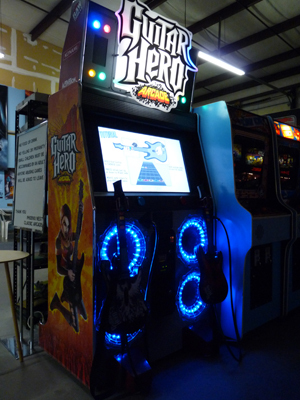 If you haven’t been in lately, the new addition is the new arcade game from Raw Thrills / Konami / Activision, Guitar Hero Arcade! 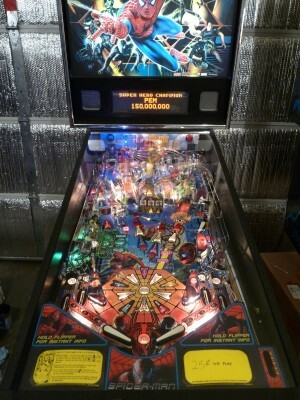 Based on the insanely popular console game series, it currently has over 50 songs from the various iterations of the franchise, and will be expandable to offer even more, as well as online tournaments in the near future. In other news, if you look right you should see a link graphic for the video game auction site Chase the Chuckwagon. From the about page on the site, “Launched as a less-expensive auction alternative to eBay is has quickly grown into the most successful video gaming auction site ever. It is an auction site dedicated to classic and modern video games.” I have used this site almost as long as it’s been around, most recently to finally add a Dreamcast to my console collection, and highly recommend it. Severe computer problems (turned out to be the hard drive, not that any diagnostics would tell me that…grumble…) have put me rather far behind on a lot of things, so a quick catch-up. Have all parts to fix up Addams Family, but restoration is being delayed a little (I hope) bit, because of two things sitting in my garage that I hadn’t planned on. They are both going in the arcade as fast as I can get ‘em there! They will be the most visable change of many planned in the arcade in the next few weeks, the other main one being placing LED light strips in the unlit games, which will make the arcade feel more, well, arcade like (if they look as good as the normal marquee lights, I’ll convert the other games over, which will mean less burned-out marquees and lower Dan’s power bill). At some point soon we’ll be running a Ms Pac Man tournament, soon as I work the details out with Dan, so start practicing now. And, finally, a request. 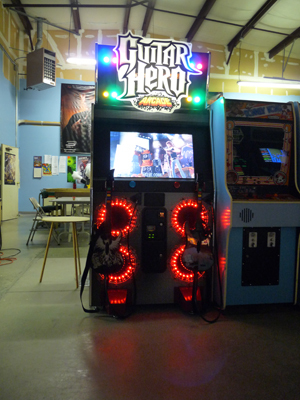 If something isn’t working on an arcade game, PLEASE tell someone who works there (and not just in our arcade). In a lot of cases, if something isn’t obviously broken, a problem might not be detected for a while. Thats all for now. Pictures of this mystery game will be posted as soon as I am sure I can fix the cannon and have revieved the couple of replacement parts I need (have I plugged www.pinballparts.com yet? 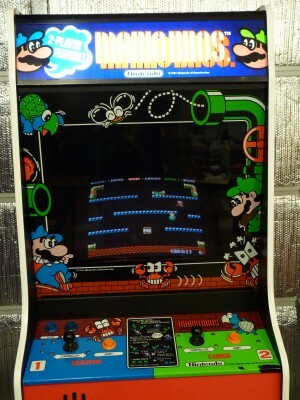 I can happily recommend several parts suppliers, but lately I am really liking their shipping department the best), so I know it won’t be long until it’s in the arcade. Phoenix Nest Classic Video Arcade has removed Gauntlet, and replaced it with a fully restored Gauntlet 2. This represents a little bit of coming full circle for us, because long ago in the history or the arcade, when we still owned Docking Bay 93, a really nice arcade and pinball collector (who, sadly, we lost touch with over the years) asked if we wanted to put his Gauntlet 2 in the arcade. We split the coin bucket with him every month, and it got played a lot. 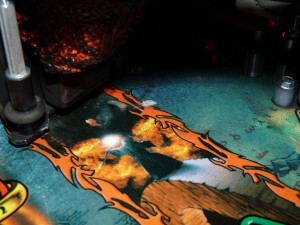 We have always wanted to add it back to the arcade, and a buy from a Seattle operator (I’ll post a link to his website when I find it again, he sells games and does arcade rentals) of two Gauntlet-style cabinets, one with most of the artwork in good shape, was what we needed to make tracking down the board worth it (got the board from www.eldoradogames.com). 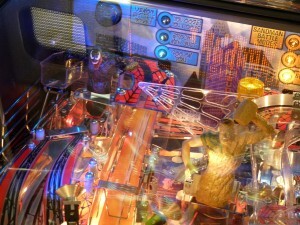 As for the other Gauntlet cabinet? It is becoming a Captain America and the Avengers. I can’t give an eta on when it will be done. My garage has been converted into a workshop, and I had hoped to have several projects done weeks ago, but there were some minor delays, and now the moisture seal on the floor refuses to dry (although the company that makes the sealant was very helpful over the phone), which makes the floor very slippery. I hope to be able to post updates very soon, but for once it isn’t me procrastinating!